Imagine you are sitting on your comfy couch watching TV. You decide to tune in to 60 Minutes. They are talking about a nonprofit organization that is bringing a low-cost laptop to children in developing countries. You think that is a great idea and decide to learn more. Fast forward two years, and you are in the middle of a floating fishing village in Ha Long Bay in Northeast Vietnam. 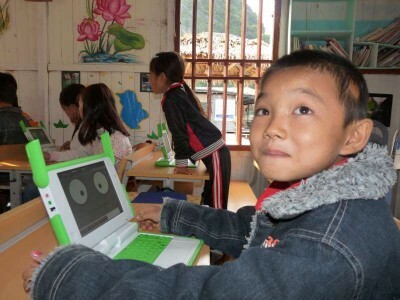 You have started a project to bring a number of these laptops to the only school in the village. While there you are tackling a variety of speed bumps that arise. These range from easy to extremely challenging. As the days pass, you can see the joy in the children and adults of the village. You realize that you have made a difference and changed their lives. You have changed their world for the better. This is the story Nancie Severs of New Hampshire relayed when she presented at OLPC’s Cambridge headquarters. Hearing Nancie speak is inspiring. She has heart and energy. Last year she visited the Vung Vieng Floating Fishing Village with her husband Mark. 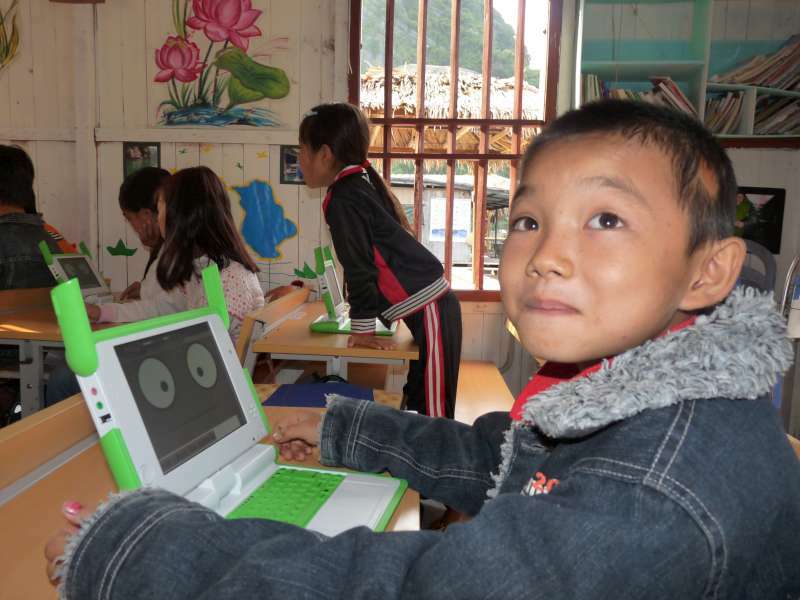 She thought of OLPC and realized she could bring the XO to this village with a plan. She says if the XO laptops work out here “in the middle of the sea” where learning resources are limited, books are destroyed by the salty air, and newspapers blow away or get wet, then she will be convinced that it can work almost anywhere.